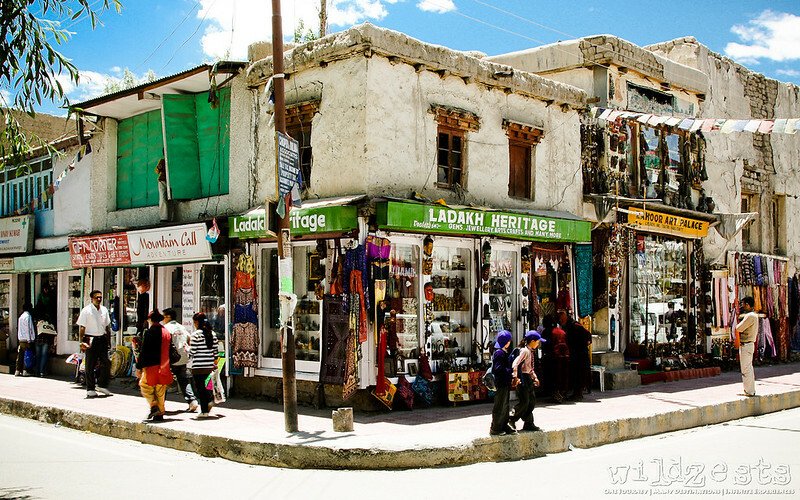 WildZests: Trip #3: June 2009 - My most leisurely trip to Ladakh! 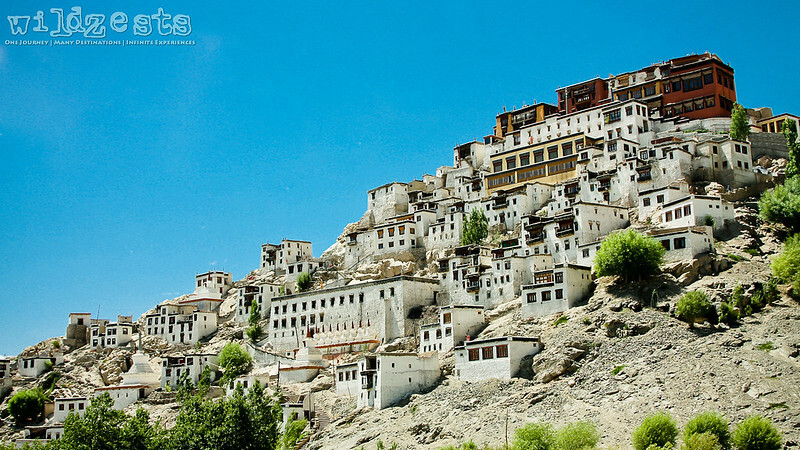 Trip #3: June 2009 - My most leisurely trip to Ladakh! 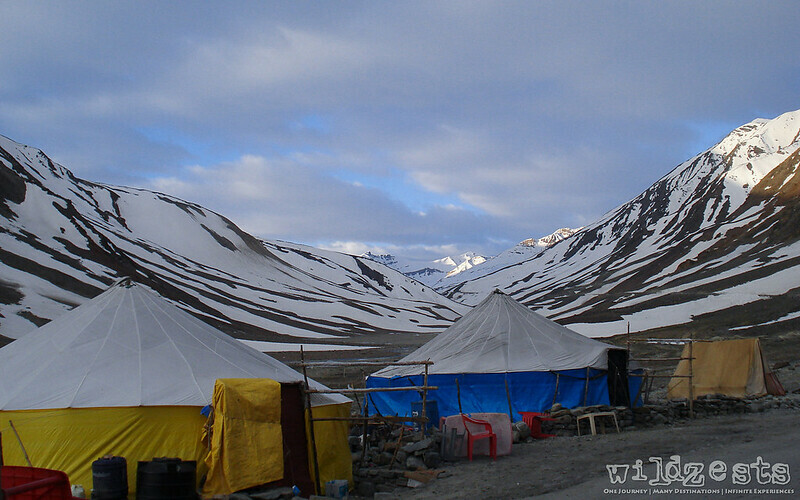 In Oct 2008, I had another trip planned to Spiti with a friend and he had done major preparations for it. Sadly, I had to call it off just a day before we were supposed to leave due to a family exigency. But, to make it up for it, I promised to accompany him to Ladakh in the next season. Earlier in 2009, my wife gave me wonderful news that we were expecting our first offspring later that year. Now, that meant that she couldn’t join for the trip and it took a bit of convincing before she dropped all objections about me going on the trip without her. All arrangements were made for her convenience and we had her dad at home while I was away. I even got a BSNL prepaid number and carried a spare cell phone thinking that I’d get better connectivity than the Airtel connection, but that proved to be a wrong idea – more on that later. Now, this friend of mine, he isn’t a rider, so I had no plans to do a ride with him all the way. We explored options of hiring a cab for all days and that turned out to be a pretty expensive proposition. Finally we decided to go backpacking so that we retain atleast some element of adventure. The plan was to fly to Delhi and take a train to Jammu. 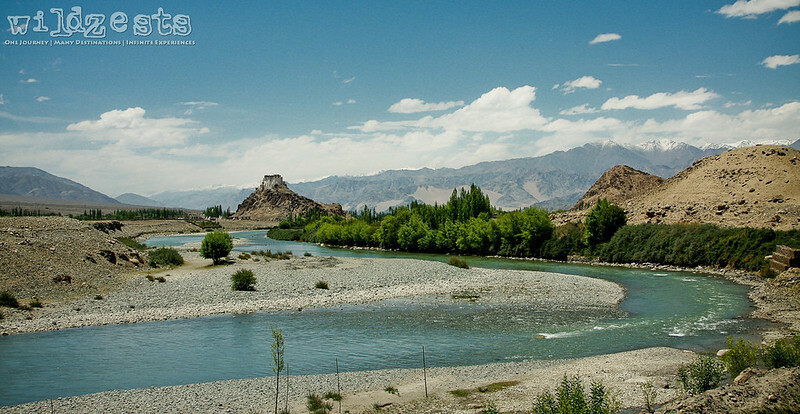 From thereon, we were supposed to be using local transport to cover longer distances and explore Leh and nearby places on hired bikes, returning through the Manali route. Once we were at Jammu things started happening differently and we found ourselves hiring local cabs all through our journey rather than taking the bus. 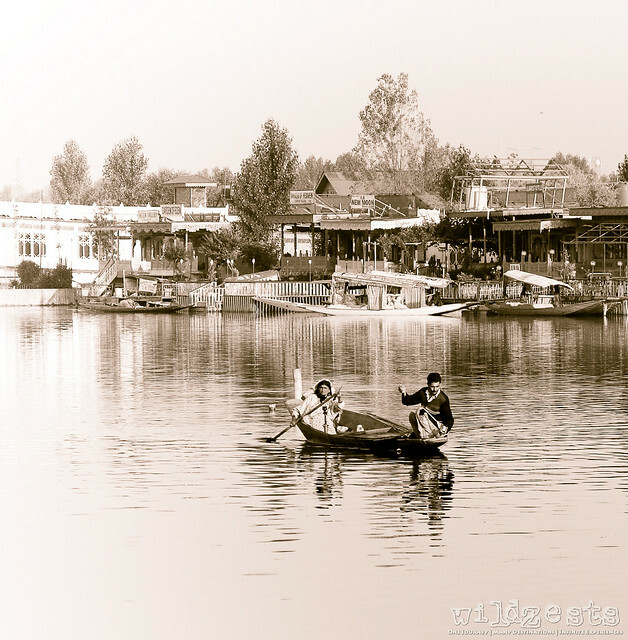 We stopped at overnight at the Dal Lake in Srinagar and then hired another cab that would take us to Leh with a night halt at Kargil. That day there was a minor blast in Srinagar and when we left in the morning, the city seemed like it was locked down and under heavy patrolling. The jeep driver told us that such incidents are not very uncommon and even though the area around the lakes is fairly safe, tourists needs to take adequate precaution before wandering off into the interior parts of the city. 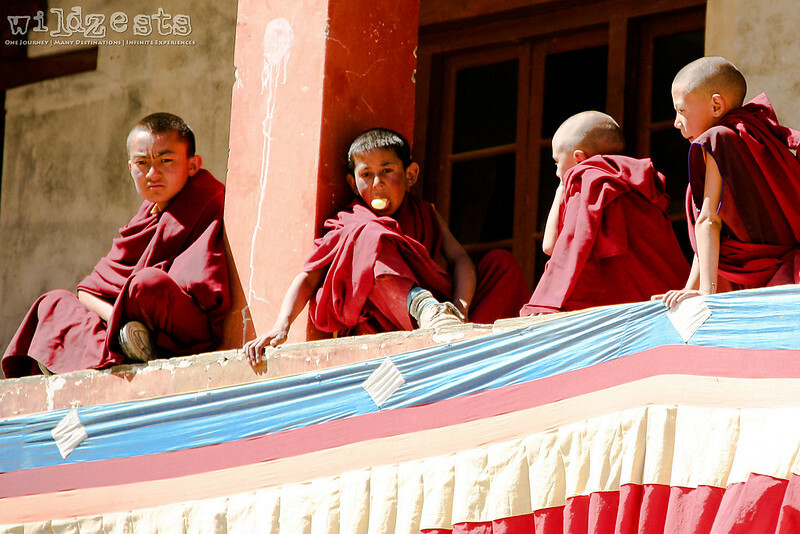 We stopped at the Lamayuru Monastery on our way to Leh and were lucky to witness the Yuru Khabyat festival. 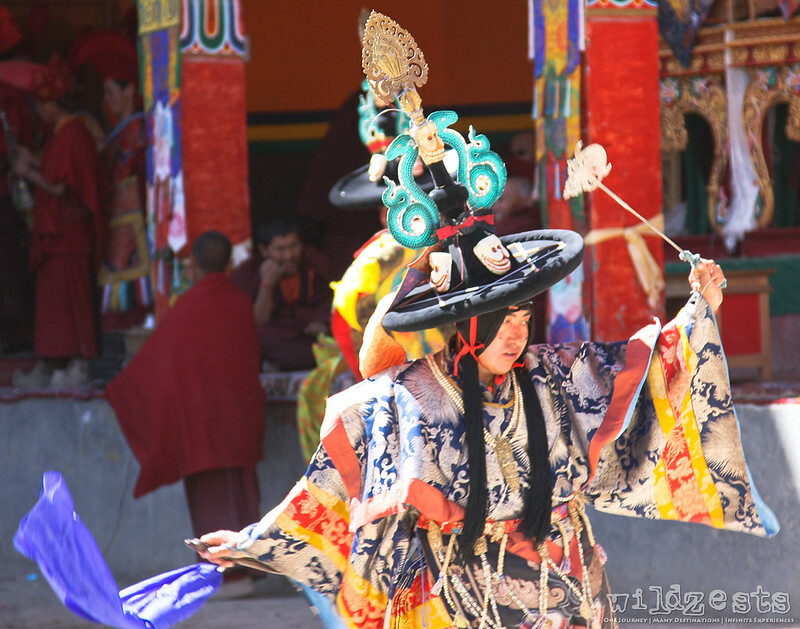 The masks worn by the lamas during the dances represent guardian divinities from the Dringungpa pantheon. As in the case of other monastic festivals, the sacred dance-drama concludes with destruction of the sacrificial offerings. 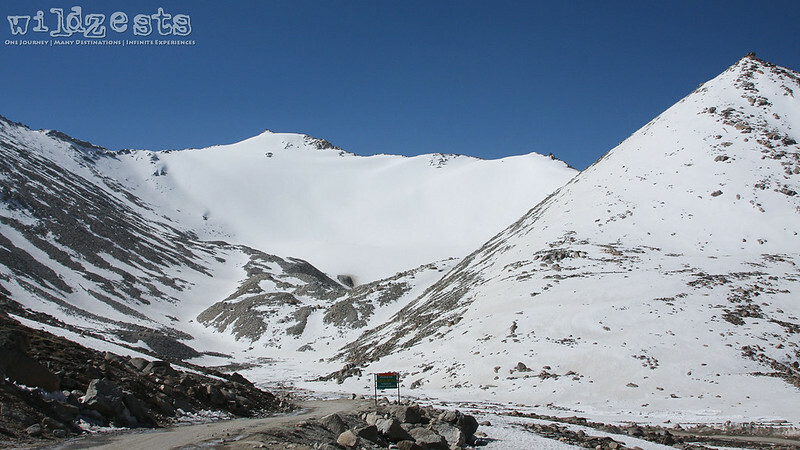 Our plan to ride around never materialized and I ended up enjoying a good one week in Leh without any agenda. All I did was to sit around at Gesmo for most of the day and then roam around the market for a couple of times. This was definitely different than all my trips, but I was experiencing what I hadn’t done in all these years….how to do nothing! 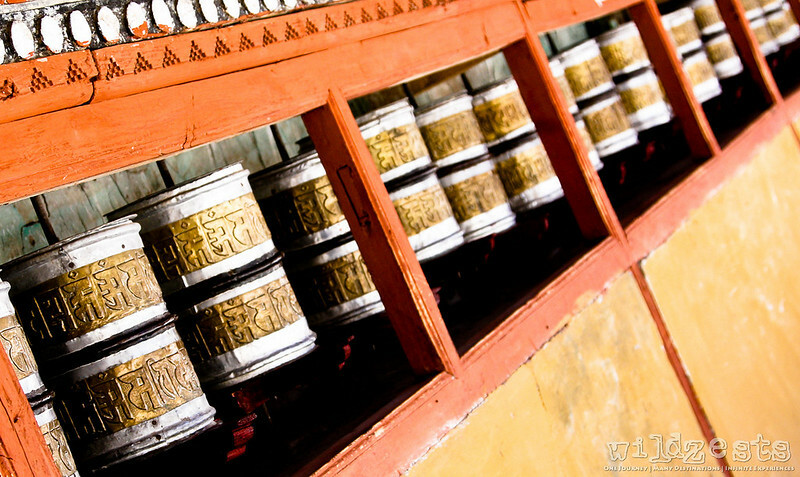 There was one day where we actually hired a bike to ride around the Shey Palace and also visited the Hemis Gompa, but that was hardly anything to call a ride. Though we gave a miss to the Stakna monastery, I did manage to capture an amazing view of the monastery as seen from the Leh-Manali highway. The monastery is situated right at the banks of the Indus which flows through the mountains and ends it journey into the Arabian sea after covering most of Pakistan. We did a day trip to Pangong Tso by sharing the cab with a bunch of college kids who were on their first visit. It was a sight to see those 3 young kids turn up at the starting point at 6AM in just a pair of t-shirt and jeans while we were all suited up for the cold. Later we found out that the youngsters were mis-guided by the hotel guy that they won’t need any woolens on the way. Poor guys wore a frozen look at ChangLa as we stopped to click some pictures. We drove all the way with the windows rolled up to avoid them from freezing up. The lake itself never ceases to surprise you with the varied colors and barren mountains and we had a good time walking around and clicking lots of pictures. At about 14000ft, it’s not a very easy thing to move around the lake on foot. Though the lake doesn’t have many life-forms to support, it is often visited by the high-flying birds like the brown headed gulls, bar-headed geese and brahminy ducks in the summers. The lake gets completely frozen during winters despite the salt water and it’s said that the army guys can even drive their cars on it. 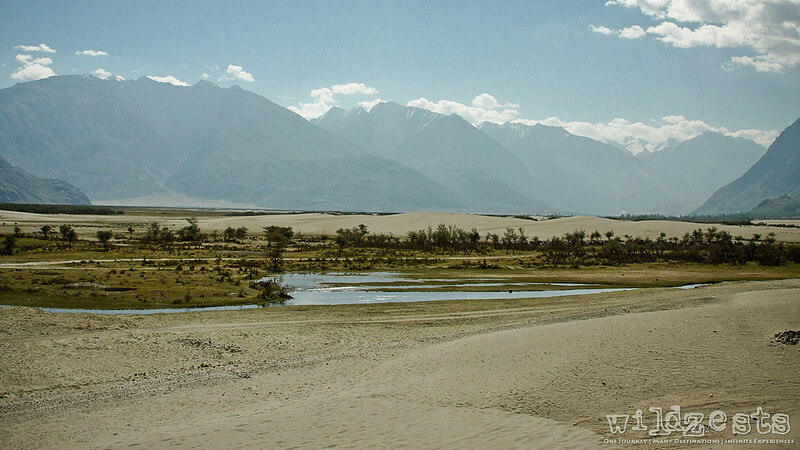 The next trip was an overnighter to Nubra valley and this time we had a mother and daughter duo sharing the car. We made the customary stop at Khardung La for a photoshoot and then proceeded towards Hunder which was going to be our night stay. It was interesting to see how the elderly lady had all the energy and excitement to tour with her daughter who had returned from the US for a vacation. This was my first trip to the Nubra valley and while I enjoyed what I saw, I sorely missed the involvement that a bike ride has to offer. On our way back, we made a quick stop at the Diskit Monastery which was quite a nice experience. 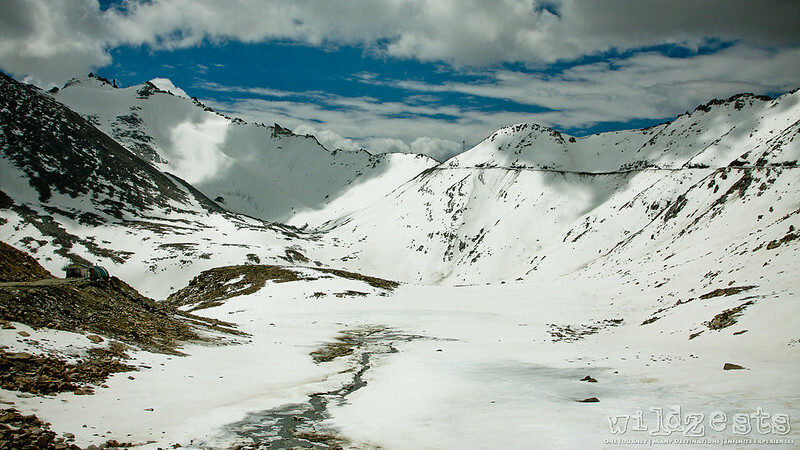 After whiling away a lot of time in Leh, we decided to head back and hired a taxi who would take us to Manali with a night stopover. On our way to Manali, we had a night halt at one of the tents at Bharatpur which is right at the base of BaralachLa and it turned out to be a sleepless adventure for both of us. While we had enough insulation to cover us on top, the floor wasn’t well insulated and it felt like we were sleeping on a block of ice. Not once did we remember to use the sleeping bags that we lugged around all the way in our backpack! 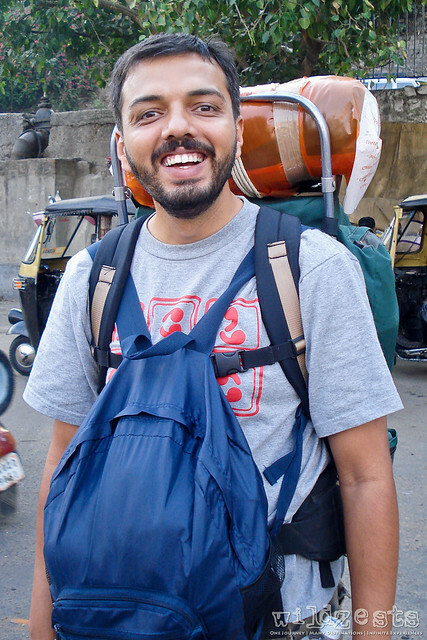 The following day we reached Manali and then a bus got us to Delhi where we boarded our return flight to Bangalore. Overall, we accomplished all that we were set to do, but there was no sense of adventure in the whole trip. We just sat on the backseat of the taxi and looked out of the window as most of the tourists do. There was this one time we actually went to hire bikes in Leh and ride to Pangong Tso, but my friend backed out of the idea which left us with no other option than to hire cabs all our way. You’re a part of the environment around you and you’re in a much better position to experience those magnificent landscapes. Your eyes are always analyzing the road for the best possible route and both hands and legs are in perfectly coordinated rhythm – you’re constantly doing something. There’s a feeling of accomplishment each day as you cover distances and stop for the night. There are many stories to talk about as you make your way through the difficult terrain. You’re exposed to all the natural elements and you have to protect yourselves in order to stay the course. You’re independent and you can choose to modify your plans based on your choices. Overall conclusion, taxi rides are not for me! They’re just too boring and even though we covered most of the places I’ve done before, there was no sense of accomplishment in the whole trip.